After a few minutes of online searching for a quick and easy printable template to track baby milestones, I realized that nothing was really available. I’ve learned by the second baby that those adorable baby books that you intended to fill out never happened. So by the second kid, I’m being a bit more realistic. Hence, the search for a quick one page template that I know I’ll fill in and throw into a baby book once I get a chance to making it (which will definitely be years later). So, since I couldn’t find anyone that offered anything, I was forced to sit down and make one myself. And all those second (and third time) parents can download it for free. 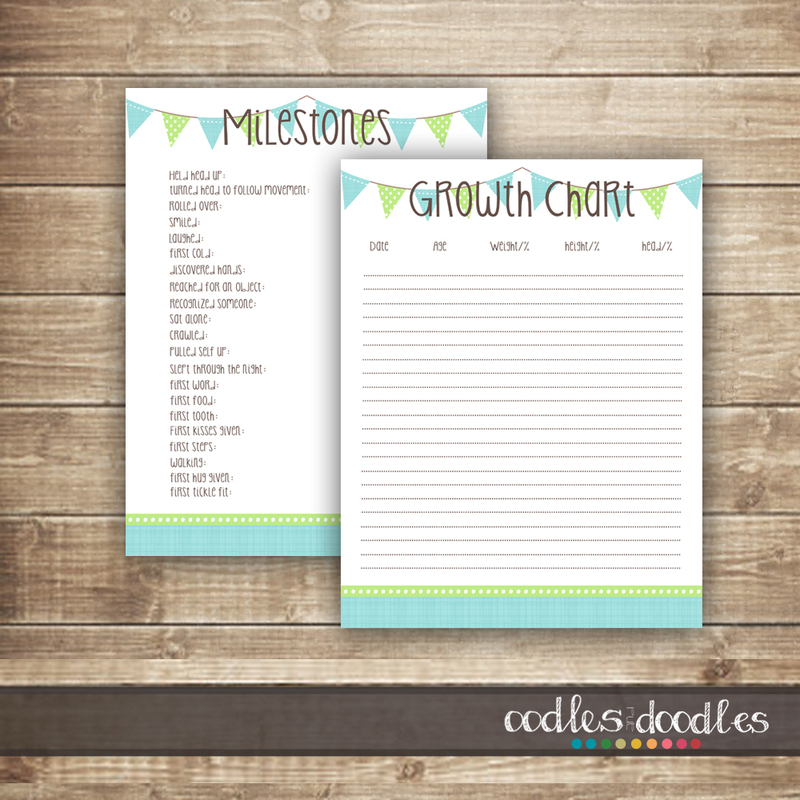 The download includes two pdf files … baby milestones and a coordinating growth chart available here. (Please note, that the files are for personal use only and can’t be resold or re-distributed in any other manner).